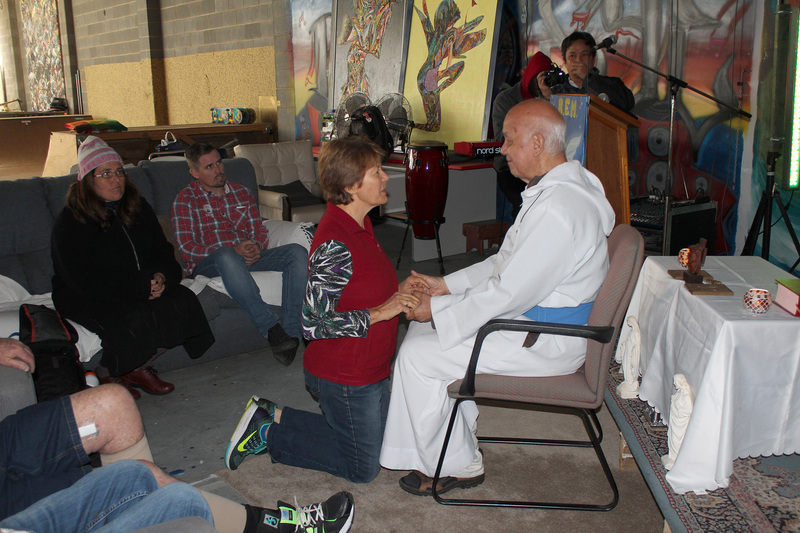 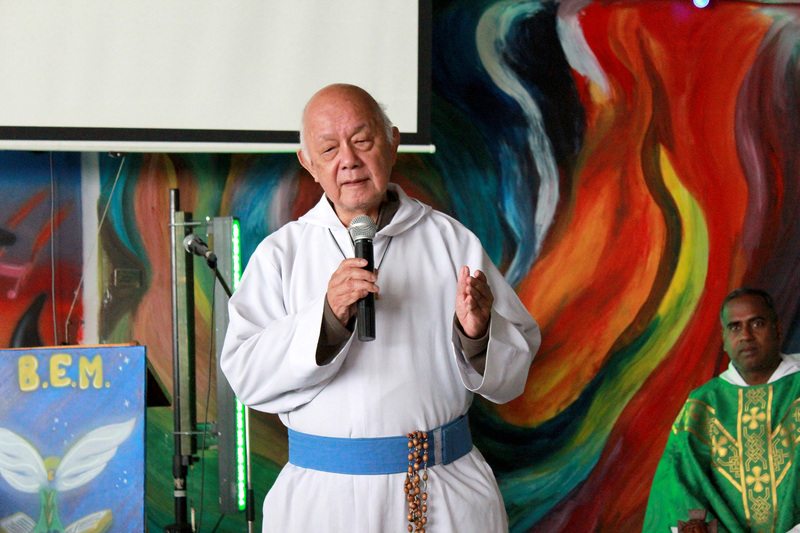 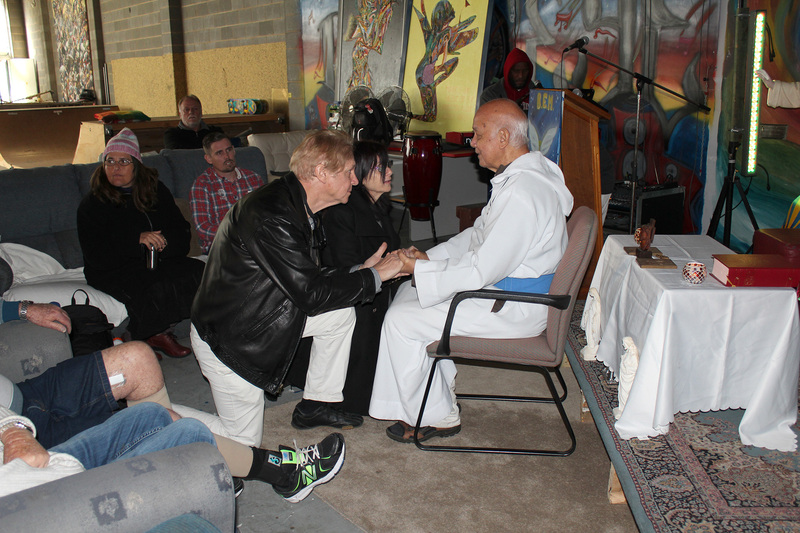 Between the dates of 8 and 15 of July this year we were blessed with a visit to Brisbane by the Founder of Missionaries of the Poor, Very Rev Fr Richard Ho Lung MOP. 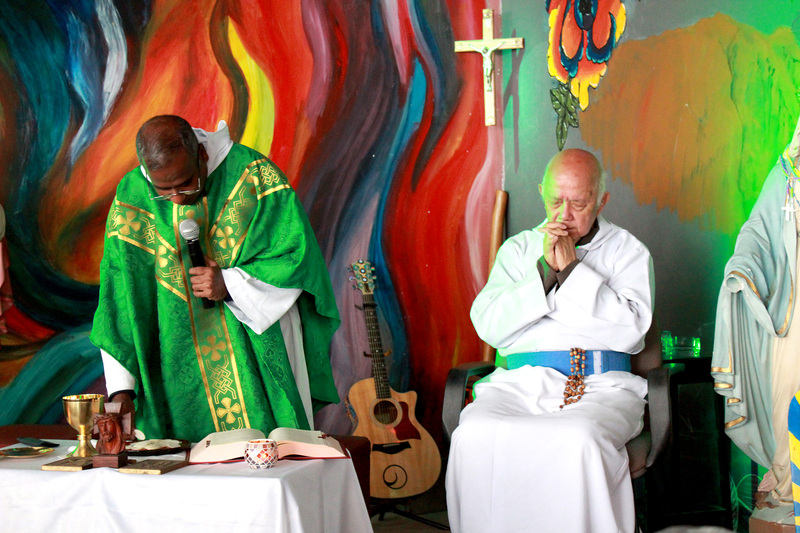 He was accompanied by Fr Ambrose Kulandairaj MOP Secretary General, Fr Henry Lozano MOP Generalate and the Jamaican singer, Wynton Williams who sings many of Fr Ho Lung’s compositions. 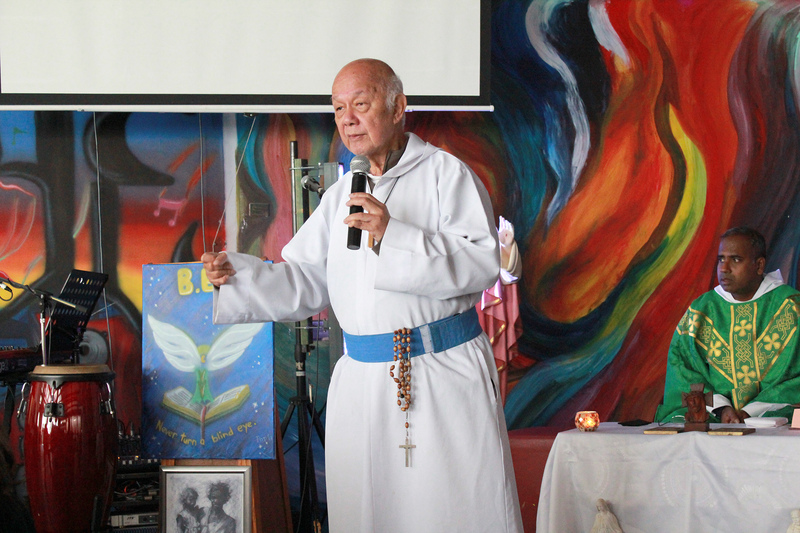 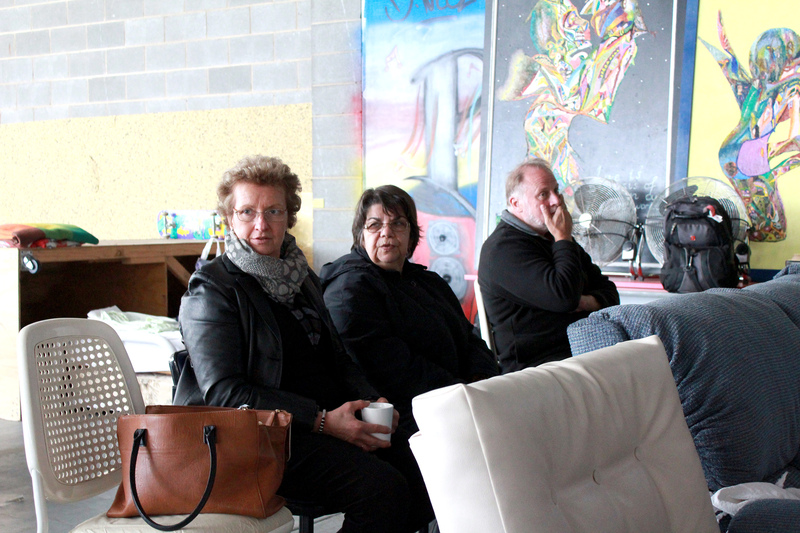 Their visit was to highlight their good works and to explain the importance of the broken face of Christ manifested in the broken and poor of our world, who, in accord with Pope Francis, are given to us to as an important component of our own re-evangelisation. 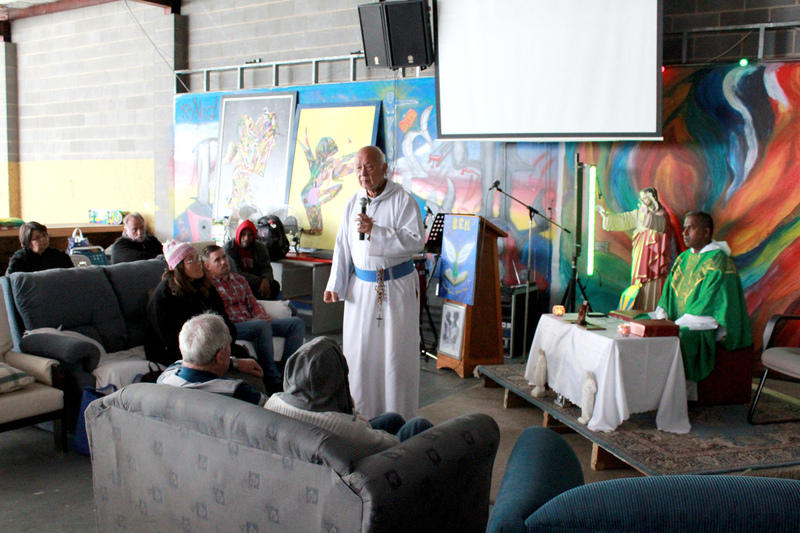 Over the next several months we will be regularly posting blogs highlighting V Rev Fr Ho Lung’s visit to Brisbane and Marian Valley at Canungra. 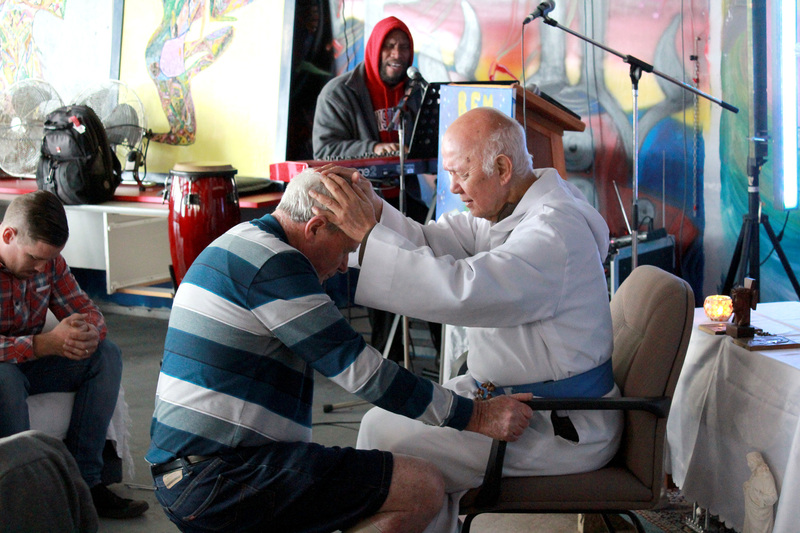 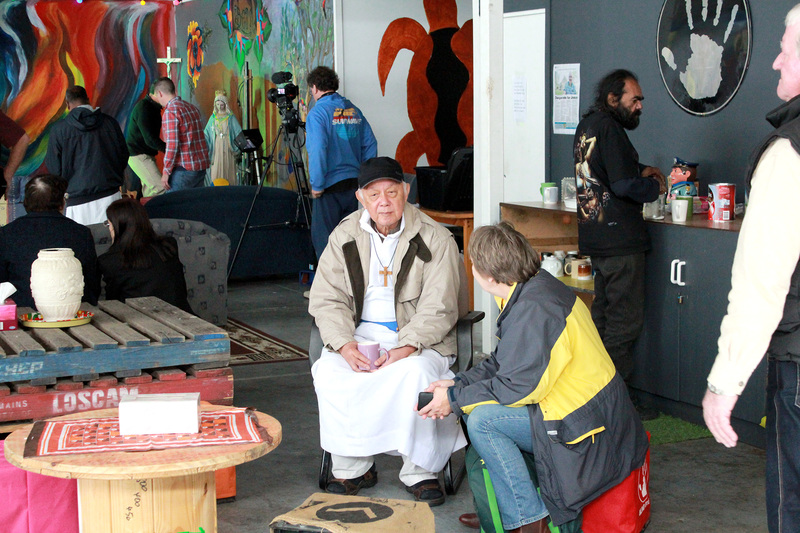 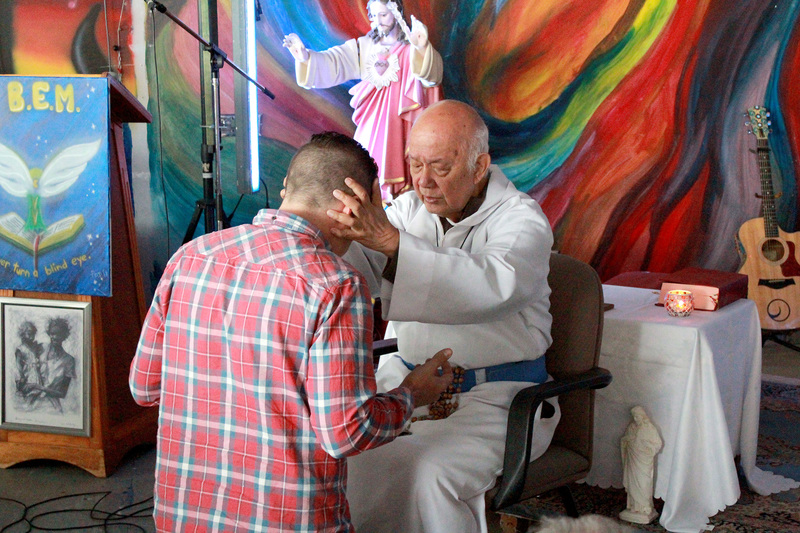 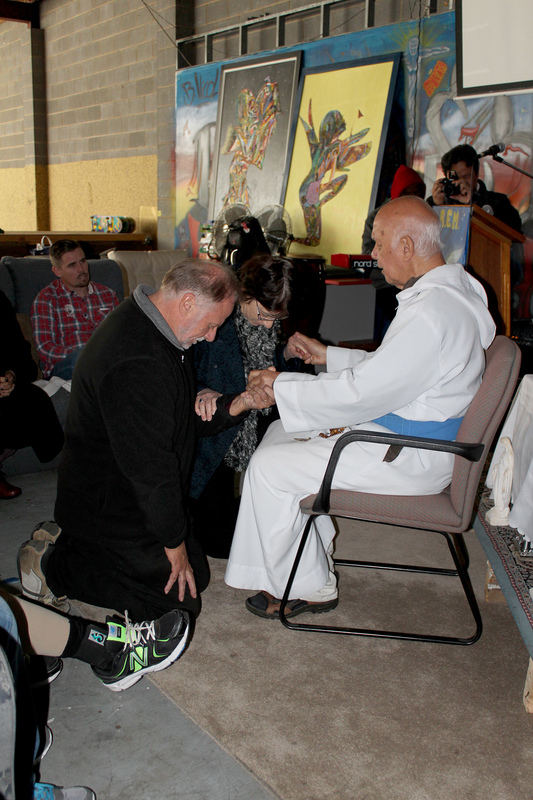 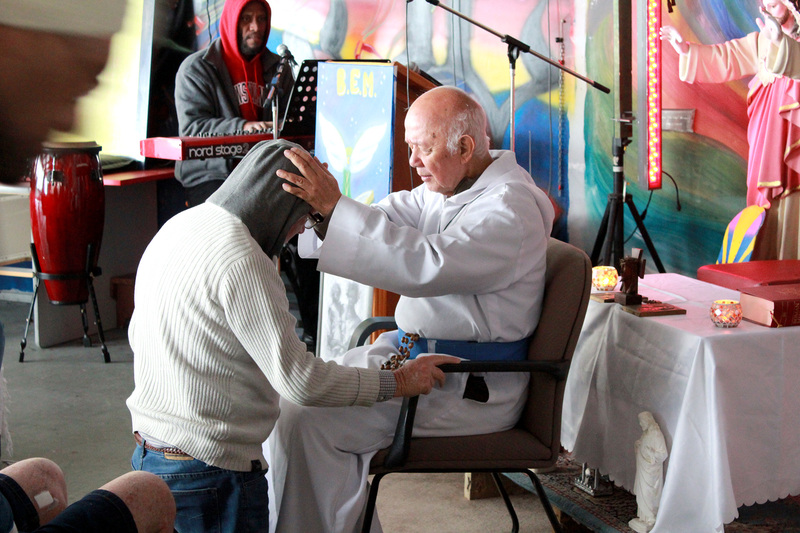 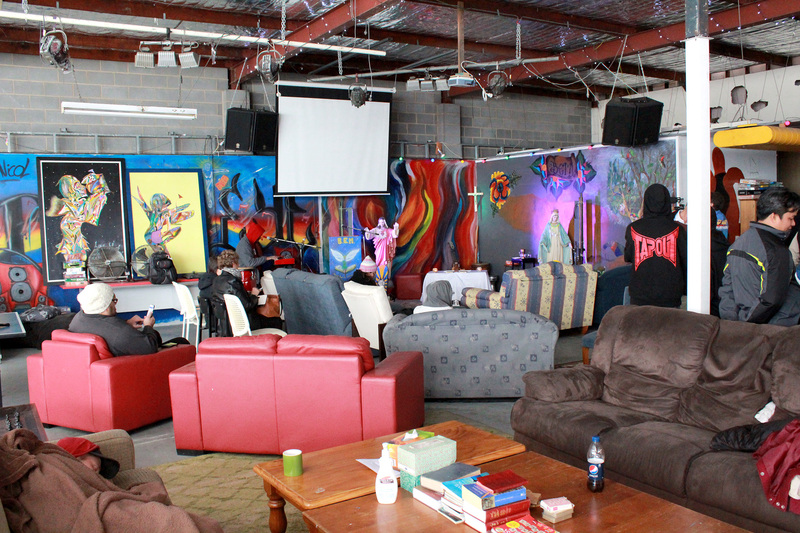 Fr Ho Lung in Australia, Post 1: Visit by Fr Ho Lung to meet Brisbane’s homeless at the Blind Eye Ministries Drop-In Centre , 19 Merivale Street, South Brisbane on 13 July. 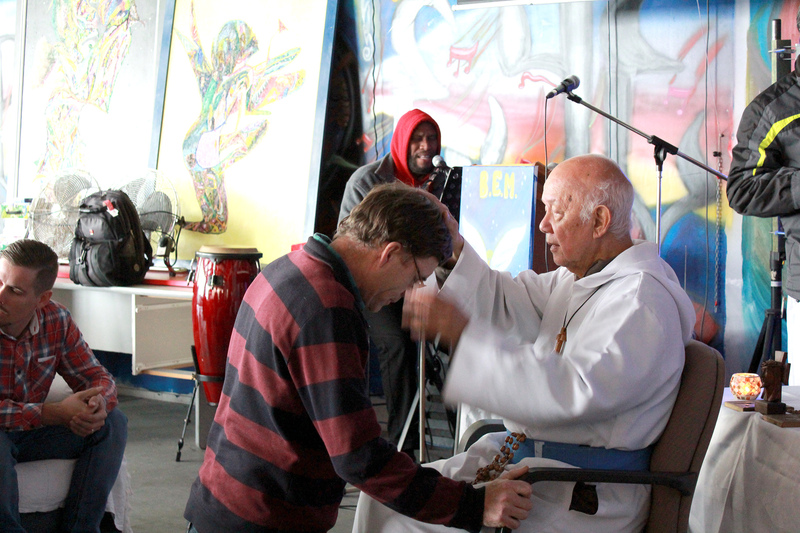 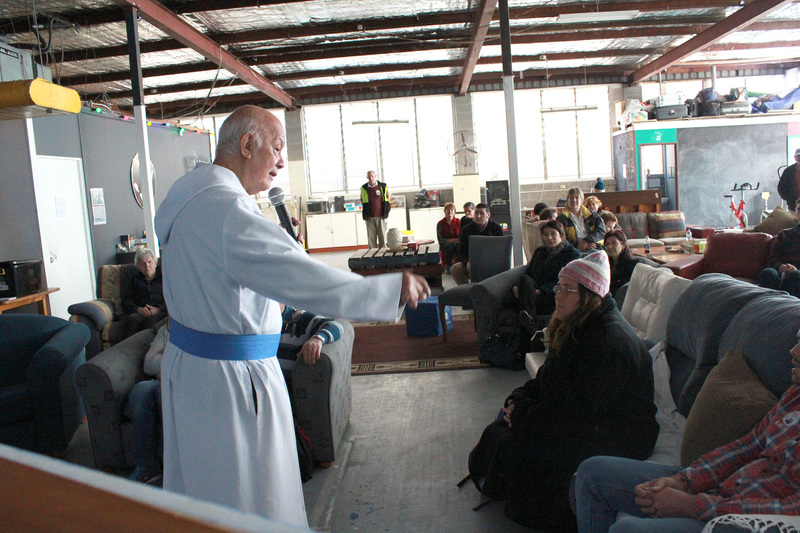 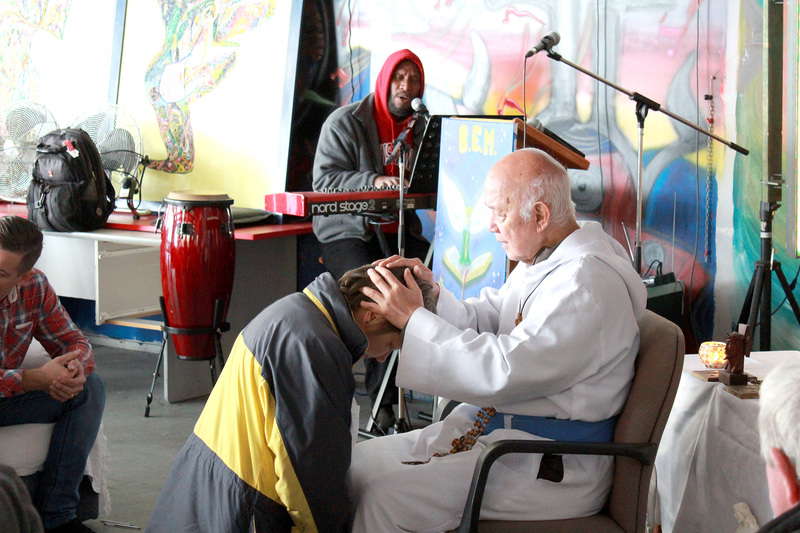 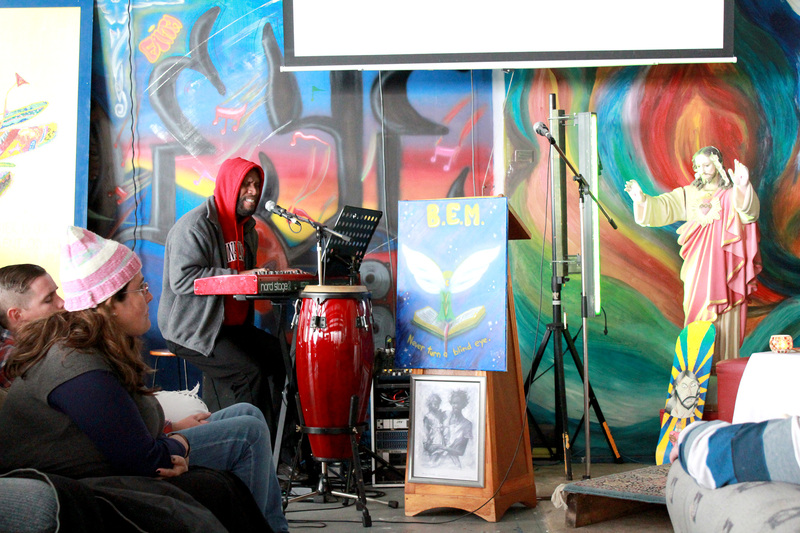 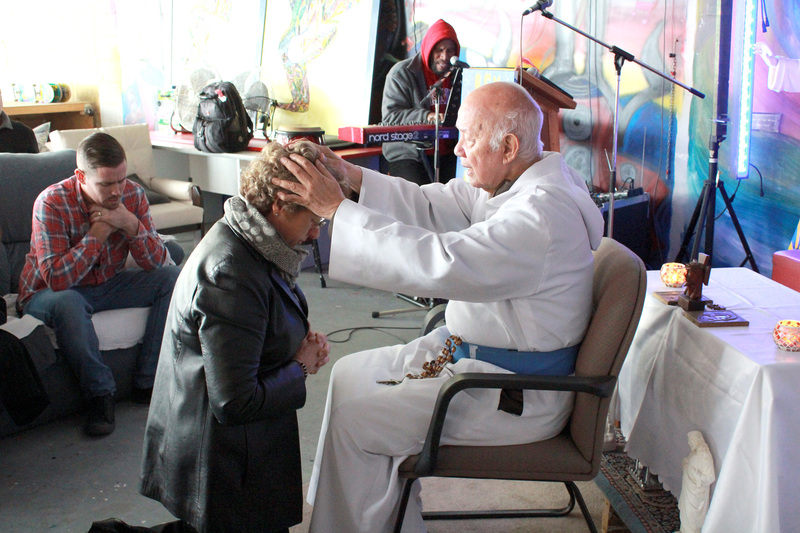 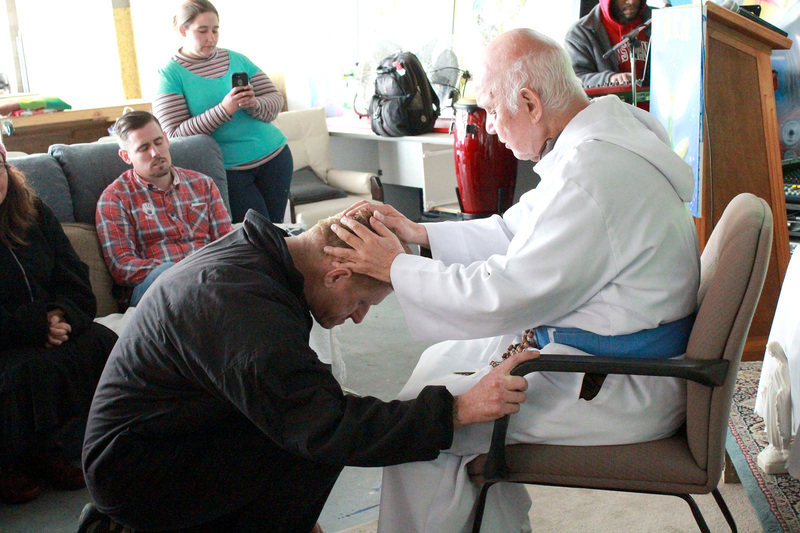 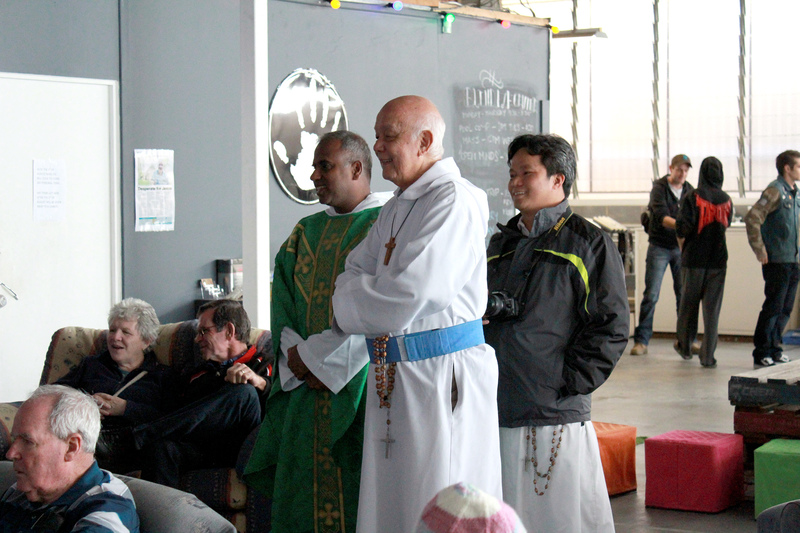 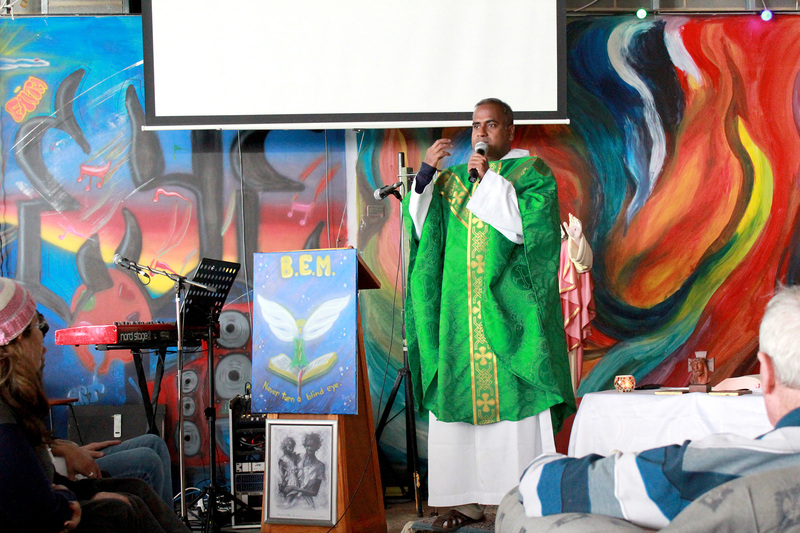 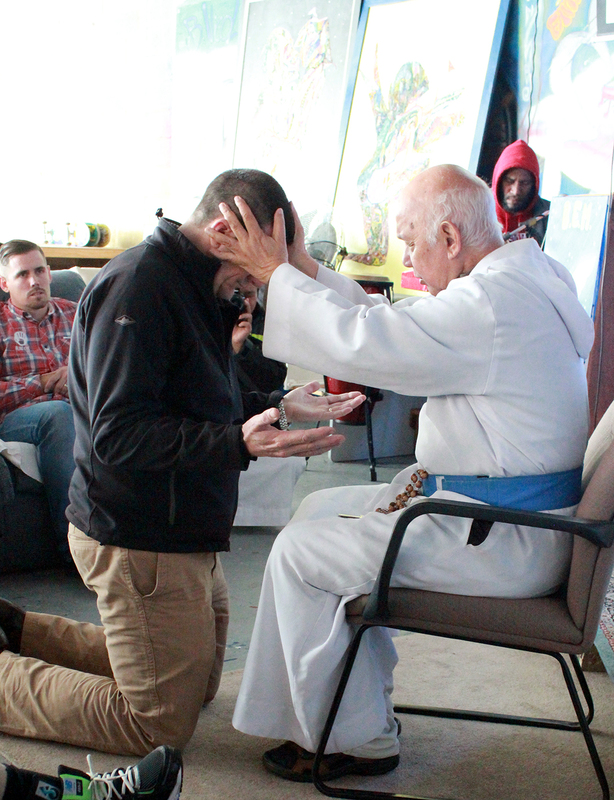 During the visit, Fr Ambrose celebrated mass at the centre for the homeless and visiting members of the Emmanuel Community. 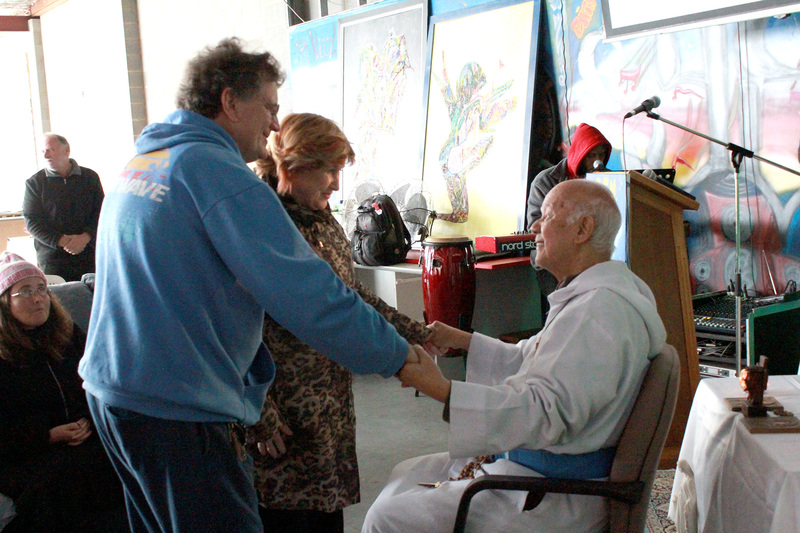 While at the centre, Fr Ho Lung gave individual blessings to all present. 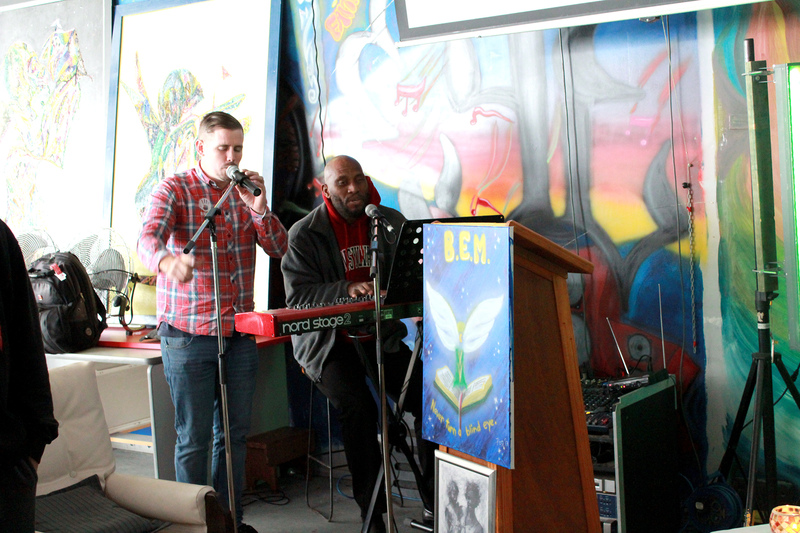 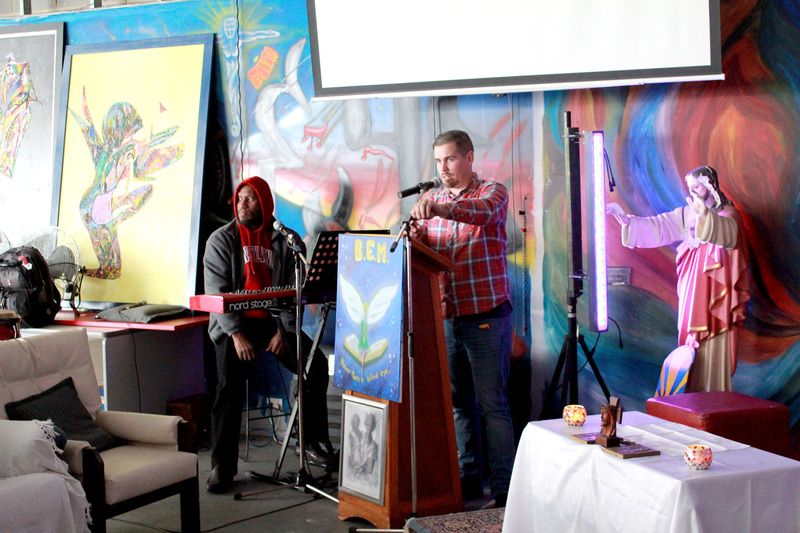 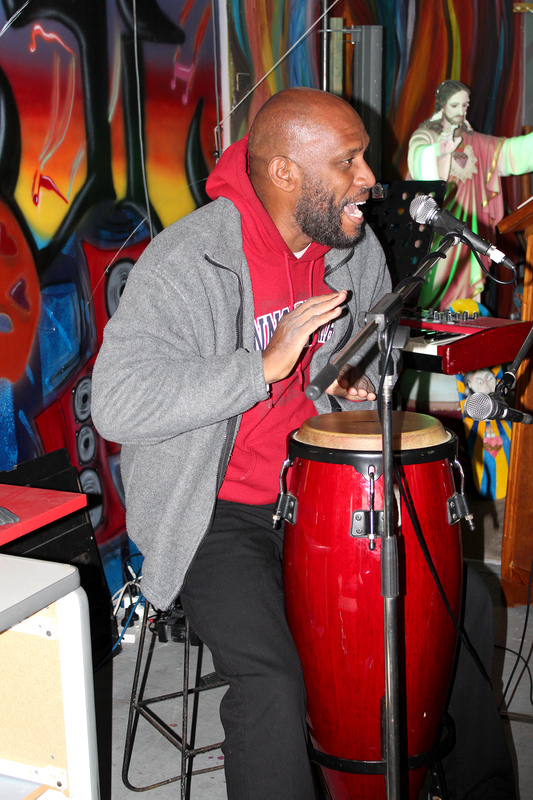 At this point we would like to commend Roby Curtis, founder of Blind Eye Ministries and the Emmanuel Community for the great work they do through the Blind Eye ministry.